Arthur Jowitt (1878 - 1915) was a Boer War veteran whose medals and citation are displayed in the Regimental Museum in Warwick. He was killed in action at St Julien in 1915; the Royal Warwickshire regimental history relates "Lieutenant Jowitt had charged at the head of his platoon right up to the German trenches, but every man save one was killed, their gallant leader (Jowitt) falling on the very parapet". Private Clarence Jowitt (1896 - 1914) was with the Cheshire regiment and was killed in action at Neuve Chapelle in 1914. Leonard Jowitt had fought in WW1 as a sergeant in the Royal Field Artillery, surviving the war but dying of tuberculosis in 1930 at the age of only 44 as a result of the conditions endured in the trenches. He was the father of Leonard Jowitt jr who was killed in the Battle of Britain. Joseph and Margaret had four other sons who served in the Army in WW1, namely Harry, Alfred, George, and Joseph. These men, like Leonard, survived the war. 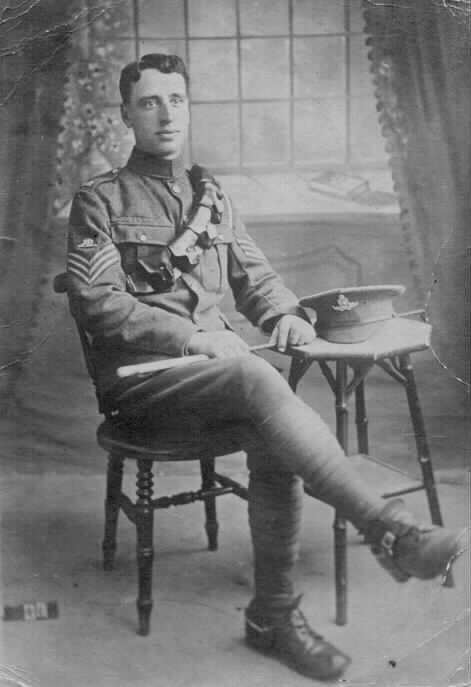 Charles Jowett then became 38783 Private Jowett of 16 Btl West Yorkshire Regiment (Prince of Wales own) Leeds pals. Leeds pals later got emalgimated and joined bradford pals. Sadly he went missing during the battle of Arras and is remembered in the Arras Memorials bay 4. The above list was supplied by Monica Lowndes from a list of casualties in the 2nd Battallion, Duke of Wellington (West Riding) Regiment and the 11th Battalion, The Prince of Wales Own Regiment. Arras Memorial, 38783 Pte C Jowett is remembered here in Bay 4. If you have any names to add to these lists please let me know. The intention is that their inclusion here will go some way to ensuring that they will never be forgotten. May they, and all our ancestors, rest forever in peace.